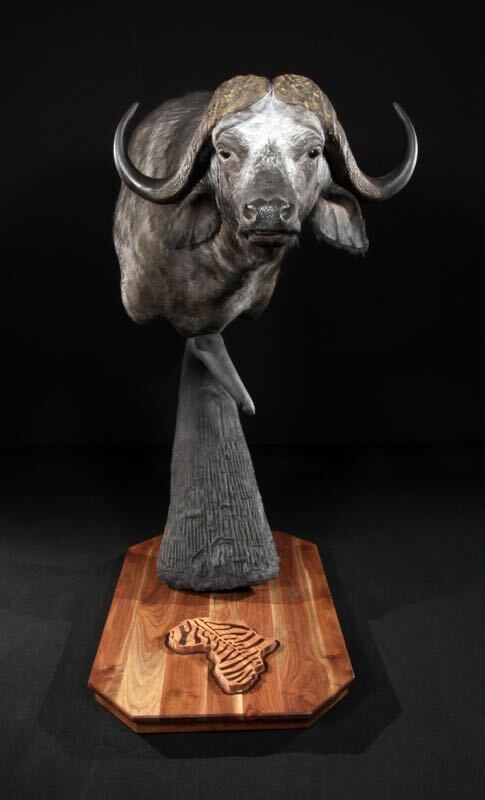 This highly creative pedestal designed by our very own team of professionals evokes images of that classic African safari. 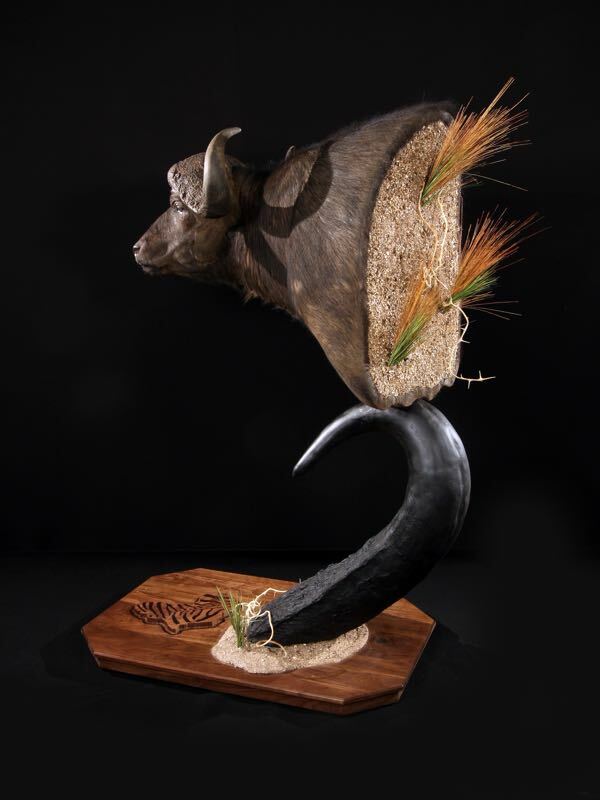 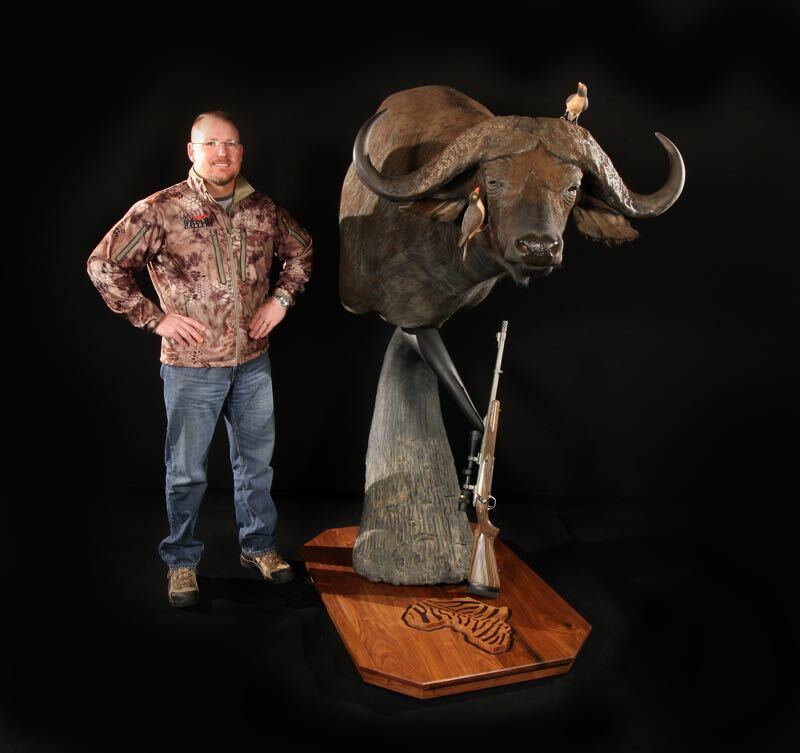 Rising upward from a traditionally crafted wood base with casters, is a massive hand carved and molded cape buffalo horn. 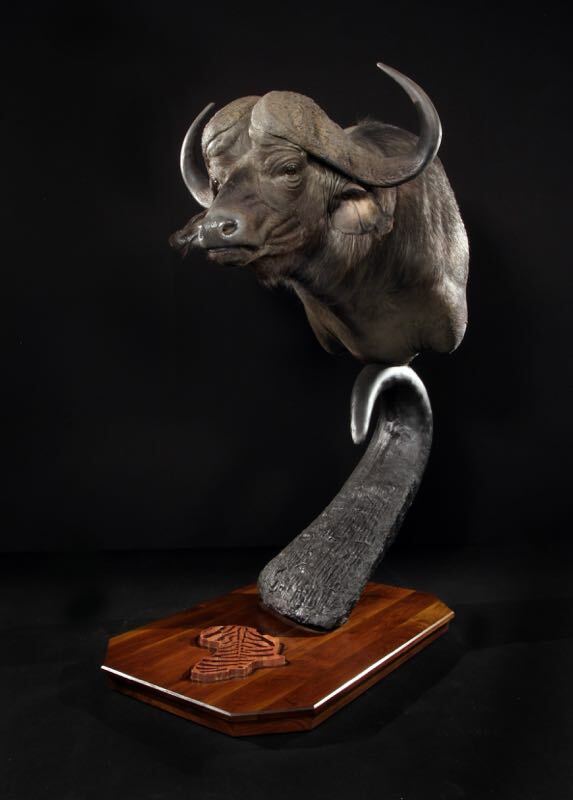 Perfectly balanced upon the horn is where your shoulder mount sets, displayed magnificantly with pride for all to see.